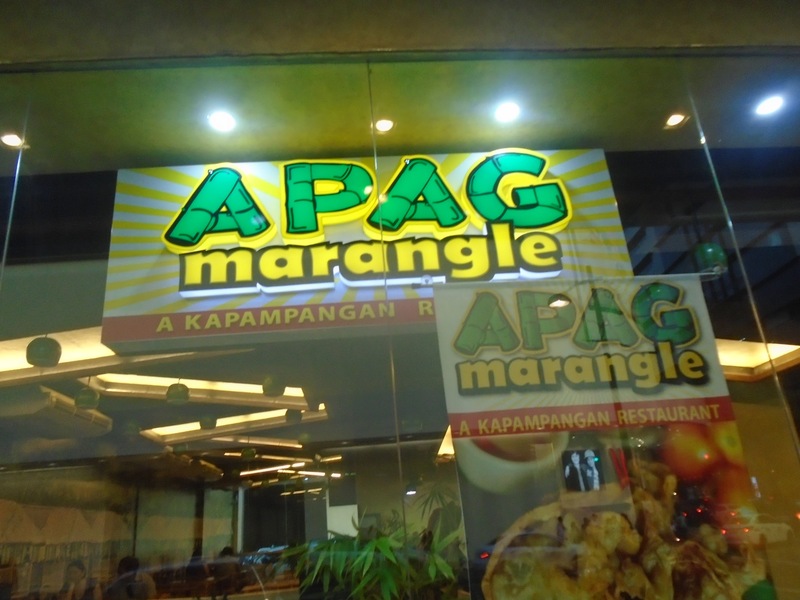 And Apag Marangle will surely tickle your taste buds without traveling outside of Manila for it! Located atthemetro’s business hub – Makati city, they offer great deals good for the whole family. So make sure to head over at ApagMarangle with your friends and familyand have a boodle fun time! Sébastien Ogier, Julien Ingrassia, Volkswagen and Michelin wrapped up three 2015 World Rally Championship titles today (Sunday) in Australia. The 2015 Rally Australia saw Sébastien Ogier /Julien Ingrassia and their Michelin-equipped Volkswagen Polo R WRC secure the top prize to wrap up the WRC Drivers’ and Co-drivers’ crowns for the third year running. Volkswagen Motorsport’s Jari-Matti Latvala / Miikka Anttila and Andreas Mikkelsen / Ola Floene came second and fourth overall in their Michelin-shod Polo R WRCs to sew up the Manufacturers’ title for the German make. These titles add to Michelin Motorsport’s impressive record of championship successes in world class motorsport and reinforce its leading status in the fiercely-competitive WRC which permits open competition between tyre companies (23 driver’s titles and 25 manufacturers’ titles). The sun itself added an extra challenge as it strobed through the trees at a difficult angle at certain moments of the day. Last but by no means least, the drivers had to contend with continuously varying grip levels as the surface switched from sand to gravel, and even several asphalt portions. This variety made the choice between the hard-compound Michelin LTX Force H4 and the softer S4 option particularly difficult. Said Jacques Morelli, manager of Michelin Motorsport’s FIA World Rally Championship programme: “The Coates Hire Rally Australia is one of the rounds of the world championship where tyre choice can be the most decisive. The hard-compound Michelin LTX Force H4 was the nominated tyre for this event, but drivers also had the option of fitting the softer S4 – either at all four corners of their car, or on two wheels only, along with two H4s – in order to increase performance on the least abrasive stages. Getting the tyre call right paid dividends, and Sébastien Ogier and Julien Ingrassia were among those who succeeded. I would like to extend my personal congratulations to them both, not only on their win in Australia but also on winning this year’s Drivers’ and Co-drivers’ world titles. A big ‘bravo’, too, to everyone at Volkswagen Motorsport for winning the Manufacturers’ championship. Their professionalism has helped to forge a quality partnership between the team and the staff at Michelin Motorsport. Victory for Nasser Al Attiyah and Michelin in WRC2 Only two of the six cars entered in the WRC2 class in Australia were on Michelin tyres. Nasser Al Attiyah and his co-driver Matthieu Baumel pulled out a big early lead to win the Coates Hire Rally Australia despite a differential issue that cost them almost 40 seconds on Day 2 (Saturday). Their Ford Fiesta RRC was equipped with the new MICHELIN LATITUDE Cross H90 (hard compound) and S80 (soft) tyres which have gone unbeaten since their introduction in Poland in July, despite the highly competitive nature of the class where Michelin runners form a minority. This week, the three-time world champion Sébastien Ogier will be a guest on Michelin’s stand at the 2015 Frankfurt Motor Show (IAA) at 3pm on Tuesday, September 15 (Stand A23, Hall 8). Tyre quota per World Rally Car driver: 24 tyres (20 + 4 spares). Allocation: 24 ‘hards’ and 16 ‘softs’. Tyre quota per WRC2 driver: 22 tyres (20 + 2 spares). Allocation: 22 ‘hards’ and 16 ‘softs’. Tyres used for shakedown are not included. to an active lifestyle, promotes good nutrition and instills the values of discipline, determination, hard work and teamwork for them to become champions in whatever they do. Gone are the days when our typical Juan Dela Cruz’ plight for brightness depends on an oil fueled lamp, A lot of eyebrows were burnt from that rigorous process. Pain-staking old-school scenario equates to a person's patience to what's obvious: Scarcity of light, stalls our nation’s road to progress. These lights gives security to the community as it acts as hindrance for lurking culprits who are always waiting for the perfect time to strike. CDR-King, Your one-stop media provider introduces another green technology as it brings to you the Solar powered outdoor lights that requires only 6-hour solar charging and can give hours of light usage throughout the night. 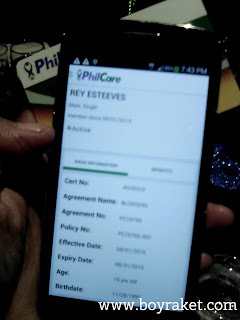 About PhilCare: Established in 1982, PhilCare is one of the country’s pioneering Health Maintenance Organization (HMO) companies. The company is built on a vision to allow Filipinos enjoy a better quality of life by providing them access to world-class health services. Three decades after it was founded, PhilCare remains a pioneer and a recognized leader in Philippine HMO. 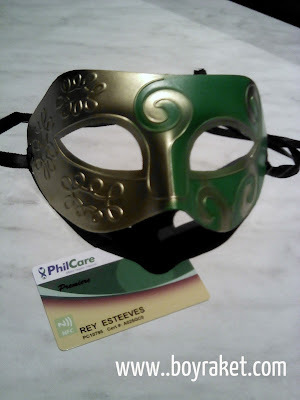 Today, PhilCare sets the pace for the industry not only with the reliable in-patient and out-patient health care it provides, but also with the total wellness and healthy living it actively promotes. Salliano’s Restaurant and Bar’s Grand Launch will be on Sept. 19, Saturday. 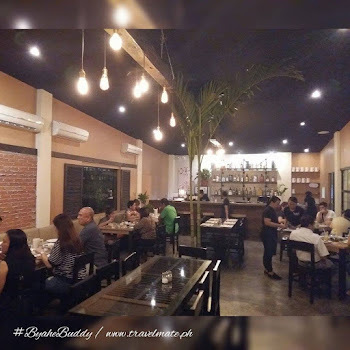 Many guests are invited to perform on their stage including one of the leading bands in the country, UP Dharma Down.Salliano’s had its soft-opening last July 18 and was warmly patronized by the locals of Marikina City. Salliano’s offers a wide range of gastronomic experience, including the Paella which harken back to those memorable family reunions, the consummately humongous and delicious meatballs that remind of fun birthday celebrations with friends and the all-time favorite gourmet BBQs andSisig that bring back unforgettable moments with barkadas. The dishes are full of honesty with only one true goal, and that is to serve a hearty meal while you simply celebrate with those special to you. Truly,Salliano’s is about celebration, family and home. In line with the grand launch of Salliano’s Restaurant and Bar, they will be raffling 1 table (for 4 pax) to one lucky winner who will qualify if he/she does what is instructed below. You may be able to watch UP Dharma Down’s show this coming Sept. 19!!! How to score a table for 4 at Salliano’sRestaurant and Bar and watch UP Dharma Down’s performance? Share their facebook fan page and tag 3 of your friends who you want to watch with. For those who are interested in the "Pitch In" Session. You can still submit your profile for the chance to "pitch in" on or before September 30, 2015. The chosen companies will be included in the program/agenda. How do you feel about the future? Is your family doing okay? Are the people around you hopeful or gloomy? With the Brighter Life Index: Social Sentiment or BLISS, Sun Life will show how optimism, prosperity, and the bayanihan spirit can produce a positive ripple from ourselvesto our loved ones and to the community where we live. BLISS is a Facebook application thataims to get the pulse of Filipinos abouttheir current financial situation as well as their outlook for the future. Harnessing the power of crowdsourcing, BLISS gathers insights directly from consumers by asking Filipinos about their current state and their outlook for the future. Responses will be collectedprimarily via Facebook. 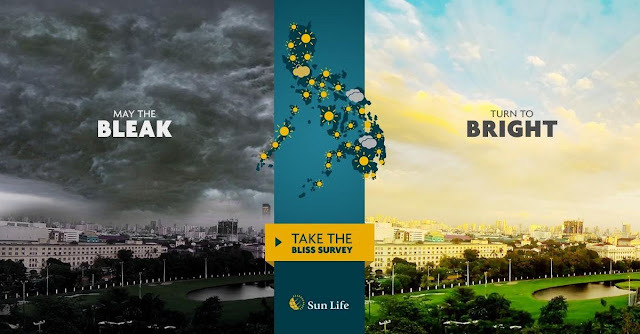 BLISS will also radiate warmth in real life, as the Sun Life Foundation pledgesto match survey responses with a donation to help localities with bleakoutlooks, as indicated by the stormyicons in the results map. Inspired by the practice of bayanihan (communal work),the initiative translates insight to action, via the information that will be shared by online users. From the present to the future, BLISS narrates the changing story of Filipinosfrom multiple points of view: self, family, and community. Income, health, and work-life balance are identified as personal concerns; food, nutrition andfinancial security comprise the familial territory; while access to quality education, healthcare, and livelihood opportunities are the societal factors that impact the nation as a whole. When addressed properly, these concerns can become the building blocks of a nationwide movement towards financial independence. Share the BLISS to help communities in need and the chance to win awesome prizes like an iPad Air. Go tohttp://bit.ly/1hDBxhn to begin. 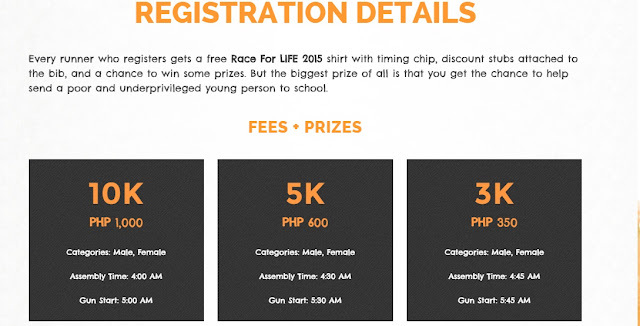 Starting at 5am on November 30, thousands of runners will take this rallying cry to the Seaside Boulevard at the SM Mall of Asia grounds for Race for Life 2015, the proceeds of which will benefit 260 scholars of the Real LIFE Foundation, a Christian nonprofit organization which believes that education is essential to helping the poor get out of poverty. Close to 300 Real LIFE Scholars have graduated from university and vocational courses, including 41 who graduated last year. Since 2003, over 1,000 high school and university scholarships have been granted by Real LIFE, the social responsibility arm of Victory and Every Nation. If you prefer to register through our venues, you may visit the stores below from Monday-Sunday, 12nn to 8pm. Race kits may run out before last day of registration, therefore registration may end earlier than announced deadline. When we were young we’ve been bombarded with the question “what do you want to be when you grow up?” And though it practically changed every year as we grew older, one thing’s for sure, we all wanted to be successful. Times has changed, modern women now has control over different aspects of our daily lives. You see women government leaders, CEO’s, and creators. Women pave paths for they now, we see women making rules instead of just blindly following rules made for them. 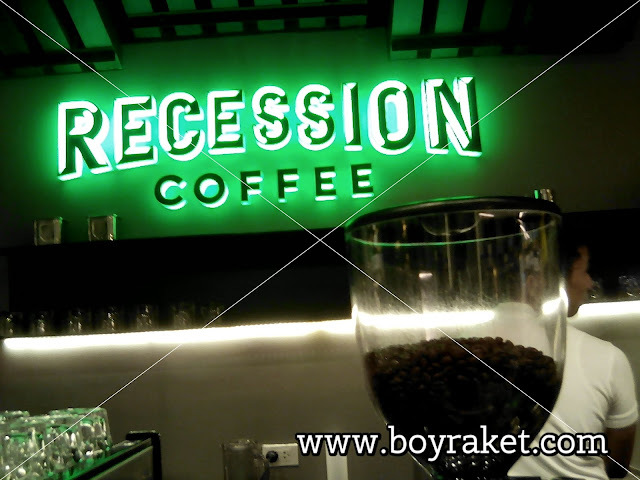 Visit the first branch of Recession Coffee by Digital Walker from the hours of 11am to 10pm at the 4th floor of Eastwood Mall, 1880 Eastwood Building, Eastwood Avenue, Eastwood City, Quezon City. For live updates, follow them on Instagram and Twitter with handle @digitalkwalkerph, or, like them on Facebook at https://www.facebook.com/digitalwalkerstore, and track them with hashtags #digitalwalker and #recessioncoffee. Data shows that the Lamudi PH website is now the most visited real estate platform in the Philippines. MANILA, September 3, 2015: Lamudi Philippines (www.lamudi.com.ph) is now officially the most visited real estate website in the Philippines. Citing its own data and that from web analytics platform SimilarWeb, Lamudi reported that visits to its platform for the first six months of 2015 is 34 percent higher than those recorded for the entire 2014. In addition, at 320,000 monthly visits, Lamudi’s site visits via desktop are now at least 28 percent higher than its nearest competitor. 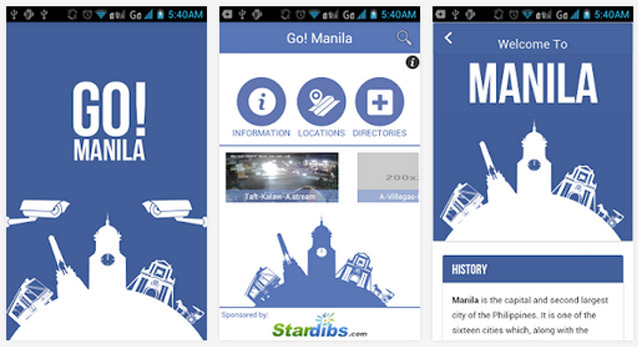 · TRAFFIC LIVESTREAM - Get instant and real time access to Manila's major thoroughfares. Livestream will provide a link to the hundreds of high def CCTV's installed in various parts of the Metro. Never get stuck in traffic again as these live feeds will provide you ample time to look for alternative route. 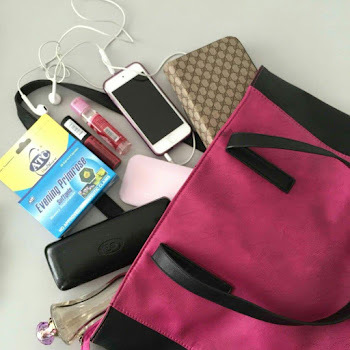 · EMERGENCY LOCATIONS - No GPS and MAPS? No problem. 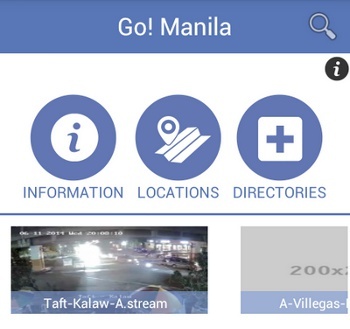 Get the exact locations of Police Stations/Precincts, Hospitals/Clinics, Fire departments and other concerned agencies at the tip of your finger. · EMERGENCY HOTLINES - No need for complicated and outdated directories. One click and you get to access and call various police precincts, hospitals, fire departments and all other emergency/disaster related concerns. There’s nothing more frustrating in a relationship when your romantic night plans doesn’t work out the way you want it to. One of the culprits could be a condition like erectile dysfunction. It’s the elephant in the room. No one wants to admit it’s, until the damage has been done. Fight the negative impact of erectile dysfunction in your life and in your relationship. 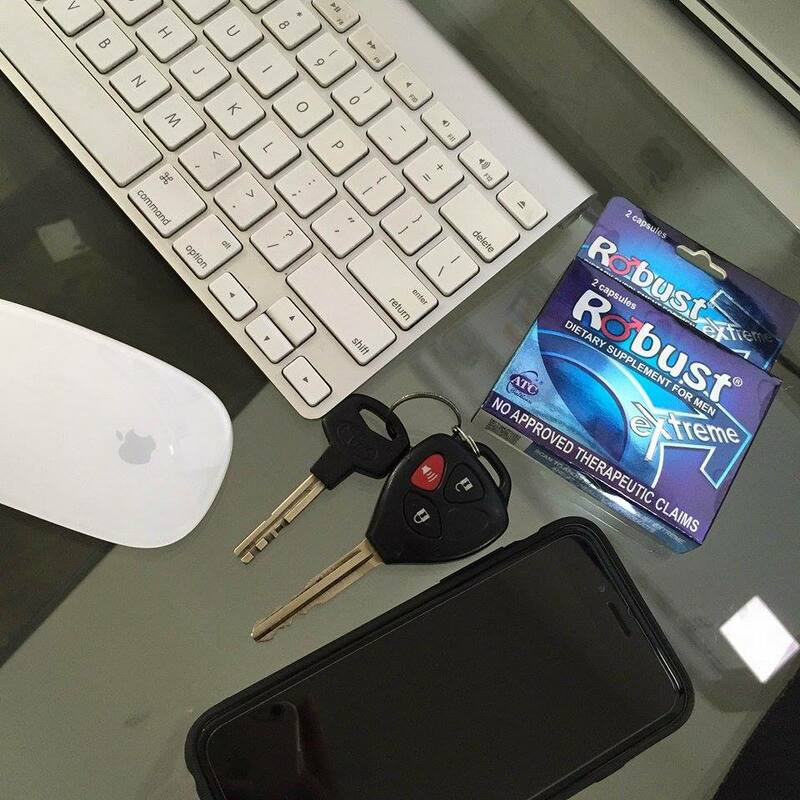 Do it with Robust Extreme. Robust Extreme is a 440mg blend of 100% all-natural ingredients – Spiral Algae, Corn Extract, Medlar Extract, Ginseng Extract, Epimedium Extract, Cistanche Salsa Extract and Hawthorn Berry Extract - that helps a man achieve powerful and long-lasting erection and boosts the ability to repeat intimate activities. Robust Extreme, Super Astig ‘To! Hattendo takes pride in presenting "Japanese Chilled Cream Buns" to a new Asian market with over 80 years of experience to the highest quality of its products. 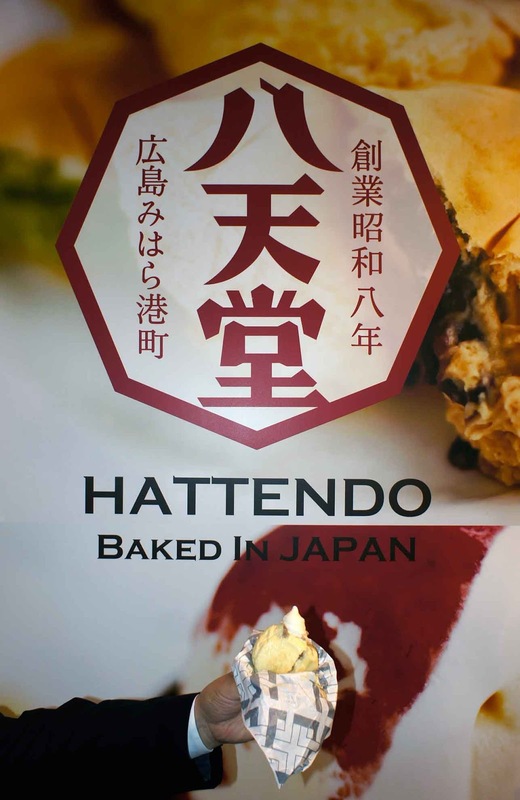 In 2014, HATTENDO sought out partners outside Japan to share its success, offering dealership in many store formats. Today there are 16 stores in Japan, 3 in Korea, 2 in the Philippines, and the company is looking forward to opening more stores in the years to come. All cream buns are baked in Hiroshima, Japan and they go through a special freezing process for international shipping. With careful packaging and excellent logistic services, frozen buns are shipped exclusively to C3 Premium Partnership, Inc., via refrigerated transportation to ensure that safe sanitary conditions are maintained throughout the products journey to the Philippines. 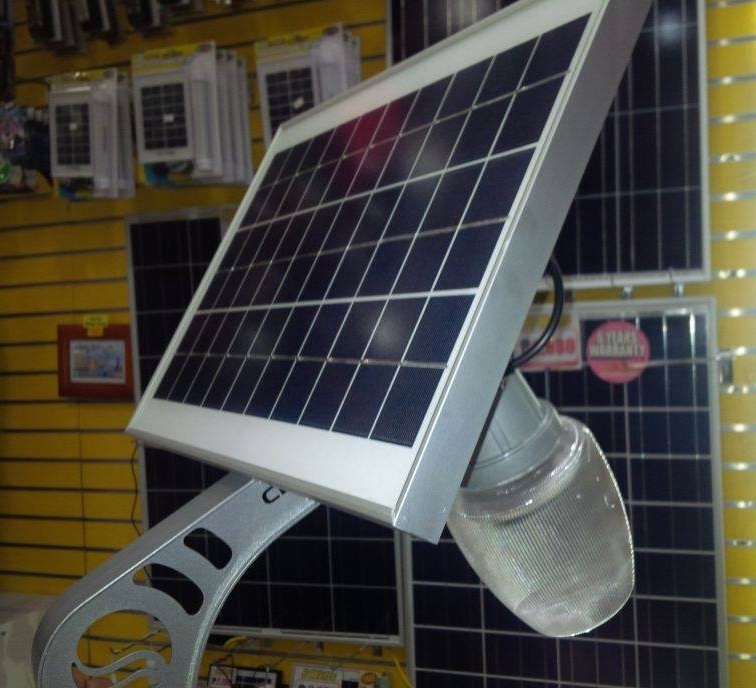 CDR-KING: Let There Be Solar Powered Light! The biggest BPI AutoMadness ever kicks-off of this September! The much awaited car sale from BPI Family Auto Loan is back this September with crazier offers and more venues than ever! 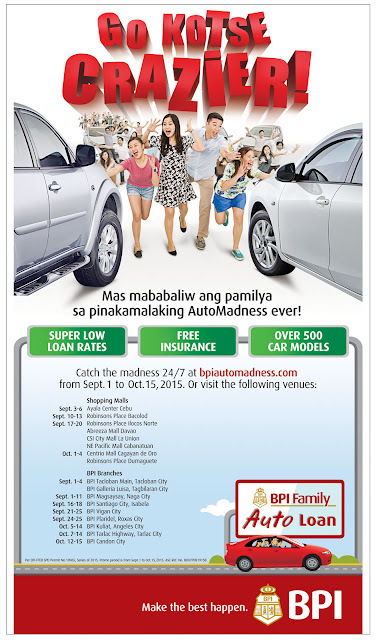 The biggest of its kind yet as it runs online via www.bpiautomadness.com from September 1 to October 15 and spans to 8 shopping malls and 8 BPI branch venues in major cities across the country. It is also the longest running as the special car offers are made available for a month and a half. BPI Family Auto Loan Division. The whole family can have an enjoyable experience shopping for their new car by visiting the BPI AutoMadness events happening in strategic locations around the country namely, Ayala Center in Cebu City from September 3 to 6; Robinsons Place in Bacolod from September 10 to 13; Robinsons Place in Ilocos, Abreeza Mall in Davao, CSI Mall in La Union and Pacific Mall in Cabanatuan City from September 17 to 20; Centrio Mall in Cagayan De Oro City; and Robinsons Place in Dumaguete from October 1 to 4. Furthermore, BPI Family Auto Loan also holds the BPI AutoMadness in select BPI branches to make the offers more available nationwide. Clients can catch it at BPI Tacloban City and BPI Tagbilaran City from September 1 to 4; BPI Magsaysay-Naga City from September 1 to11, BPI Santiago-Isabela City from September 16 to 18; BPI Vigan from September 21 to 25; BPI Palridel-Roxas City from September 24-25; BPI Kuliat-Angeles City from October 5 to 14; BPI Tarlac Highway-Tarlac City from October 7 to14; and BPI Candon City from October 12 to 15. As a sign of solidarity with the Filipino family's inherent respect for elders, SM Supermalls gives its shoppers the longest Grandparents' Day celebration, where grandmas and grandpas take the spotlight in all of SM's 52 malls nationwide for two whole weeks. From August 31 up to the actual Grandparents' Day on September 13, SM malls will have their "Grand Gifts and Treats" activities where special treats and discounts are offered by various mall tenants during the whole two-week celebration. A "Grand Memory: I Love You Lolo & Lola" photo wall is also installed as an attraction for all families. It is a special spot where families can capture their precious bonding moments with their elders while inside their favorite SM malls. Also not to be missed is the "Grand Market" activity which will happen in select malls from September 7 to 13. It is a bazaar showcasing items produced by grandparents. Come September 12, at 7am, a "Grand Walk" warms up the grandparents for the days with special exercises and a massage therapy session conducted by accredited Red Cross volunteers. Registration for the activity is open to 60 years old and above. Finally, on Grandparents' Day (September 13), all SM Supermalls will go full force to delight all grandfathers and grandmothers with dining offerings, entertainment, and event gadgets and technology products. Setting the mood right are the malls' 9am Thanksgiving Mass for Grandparents, where the priest will administer a special blessing for grandparents and grandchildren, who will offer flowers to their lolos and lolas. SM Cyberzone will have an all-day play gaming event at SM Dasmariñas, SM San Mateo and SM Masinag. 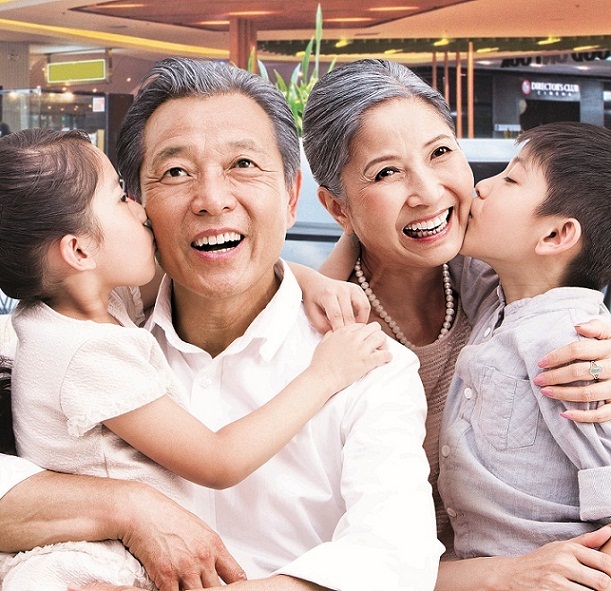 A "Grand Music" event will serenade the senior SM shoppers with oldies but goodies tracks that will not only make them reminisce about the good old times, but also introduce the timeless music to their grandkids. To capture all the special bonding moments of the families celebrating in their favorite SM malls, a special Grandparents' Day photo booth will also be present per mall on the actual Grandparents' Day on September 13. In SM Supermalls’ social media assets, several Grandparents' Day online promos will be ran from August 31 until September 13. Shoppers can visit SM Supermalls' official website at www.smsupermalls.com; follow its official social media accounts on Facebook, Twitter, and Instagram; and get an insider access to all the fun happenings at SM Supermalls nationwide through Viber Public Chat. Customers can tweet their thoughts, upload and share photos while celebrating Grandparents' Day inside the SM Supermalls, then use the season’s official hashtag #GrandparentsDayAtSM.